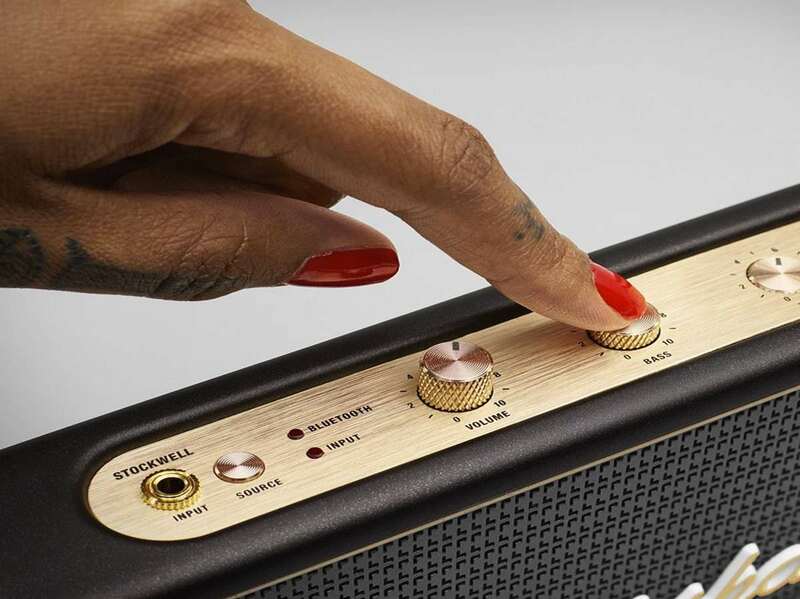 Naturally, Marshall gets all the style points for its portable Bluetooth speakers. 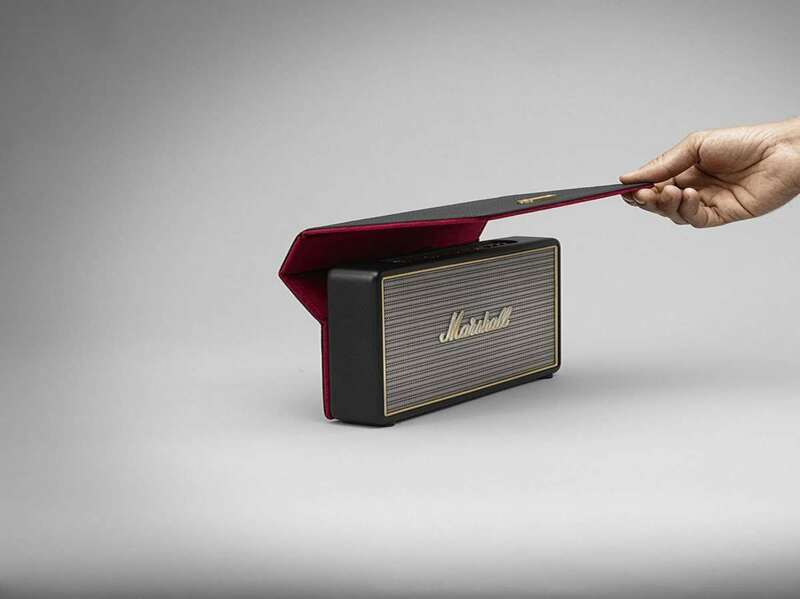 Not that it was a hard task to model their little rectangular box music players after their big rectangular box music amplifiers, but the iconic vintage look still integrates beautifully with today's mobile and Bluetooth tech. 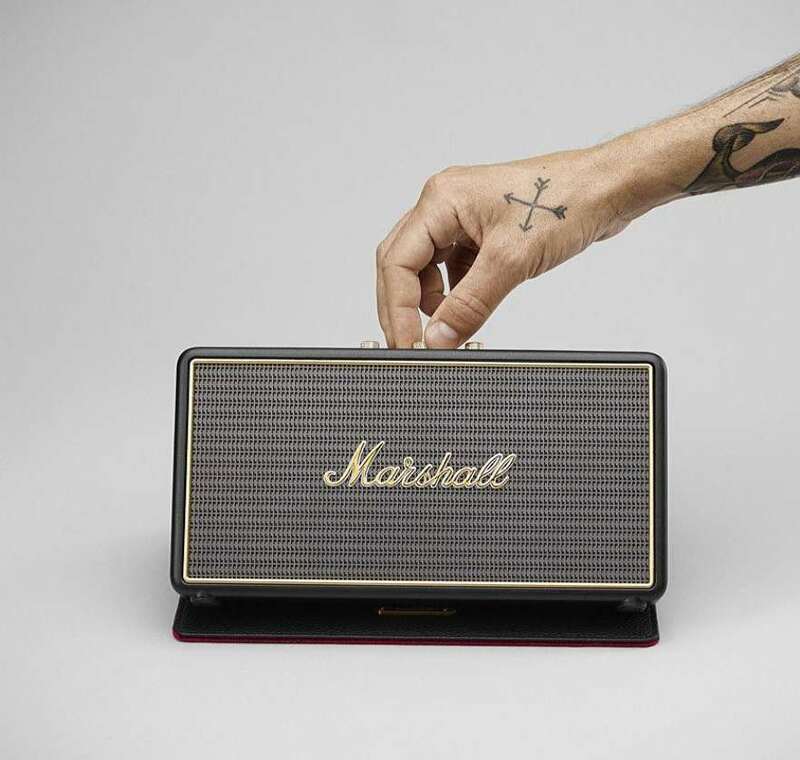 The Stockwell shown here is Marshall's smallest travel speaker, and the company says it stays true to its roots by also being the loudest in its class. 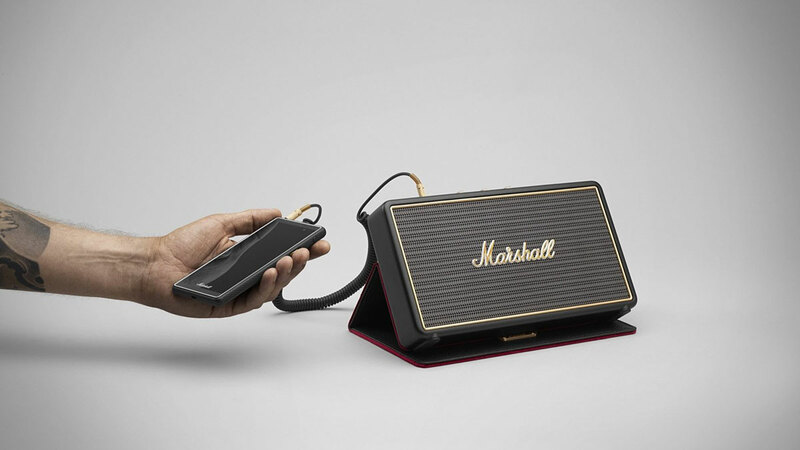 The Marshall Stockwell connects to music devices via 3.5mm plugs or Bluetooth 4.0 to deliver a "sonic punch" of sound through 2 x 2-1/4" woofers and a pair of Class D amplifiers. The rechargeable batteries will give you around 25 hours of play time per juice-up. You can also us your Marshall to answer, decline, and end calls. Lame. Not your fault though, they put the "Phone" button right on there next to the speaker's bass and treble adjustment knobs. The Stockwell also comes with a flip-cover case that protects it during transit and opens to make a stand when you want to jam.